This collection entitled “The Greek Mythology Summer Series” features the work of 6:12 Photography by Eric McKinney, in collaboration with multiple designers, makeup artists, and hair stylists (see The Creative Team listed below). Greek mythology has always been intriguing to me because it’s filled with tales of heroes and warriors battling monstrous creatures, and there is a roster of gods and goddesses, each with their own realm of control. My vision for this summer series was to explore some of these gods, heroes, and creatures by telling their stories through a mixture of fashion, makeup artistry and hairstyling. Tiny gold snakes are woven into hair to bring Medusa to life. Medusa (Tori Lee) with Stone Warrior (Andrew Holtzrager). Designer: Charlotte Couture. Make-up: Stephen Mee. Hair: Southern Sirens. Born out of the sea’s foam, beautiful Aphrodite in her hand-crocheted swimsuit seduces the powerful Poseidon who wears a crown of shells. Aphrodite, Goddess of Love & Beauty (Madison Deering). Deigner: Charlotte Couture. Make-up: Stephen Mee. Hair: Southern Sirens. Poseidon, God of the Sea (Chandler Rasnake). Designer: Charlotte Couture. Make-up: Stephen Mee. Hair: Southern Sirens. A hunter green cropped jacket and hood provide a high fashion cloak for Artemis as she hunts, while the long, flowing black chiffon of Hades’ cape represents the never-ending darkness of the Underworld. Artemis, Goddess of the Hunt (Hilary McPherson). Designer: Charlotte Couture. Make-up: Stephen Mee. Hair: Southern Sirens. Hades, God of the Dead & King of the Underworld (Jared McPherson). Designer: Charlotte Couture. Make-up: Stephen Mee. Hair: Southern Sirens. The melancoly Persephone wears a wedding gown lined with the flowers of spring that slowly fade into the skulls of death, telling the story of how she is forever torn between life with Hades in the Underworld and springtime on earth with her mother Demeter. 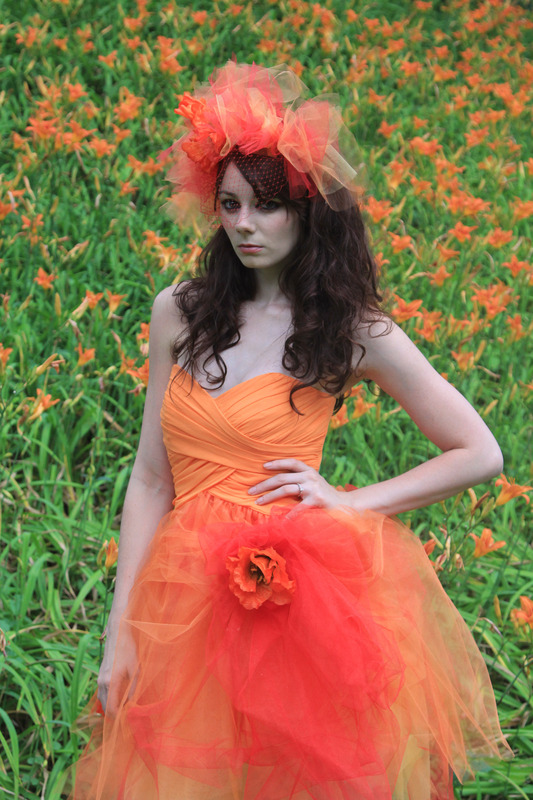 Persephone, Goddess of Spring & Innocence (Darian Harveston). Deigner: Shattered Stitch Cosplay. Hair/Make-Up: Melissa Shelton. Athena wears a headpiece made of feathers to represent her wisdom, while the darkness around her eyes reveals the warrior within. Athena, Goddess of War & Wisdom (Hilary McPherson). Headpiece Design/Make-up: Missy Young. Winged Eros, with his golden skin, wears a cover over his eyes to show that the love he spreads is also blind. Amphitrite, Goddess of the Sea (Madison Scalf). Designer: Shattered Stitch Cosplay. Hair/Make-up: Melissa Shelton. Pan, God of Lust & Nature (Julian Saturno). Designer: Shattered Stitch Cosplay. Hair/Make-up: Melissa Shelton. Hestia, being the Goddess of Fire and Hearth, is represented by the color and the feel of wildness. Hestia, Goddess of Hearth & Fire (Gabby Schicker) Designer: Charlotte Couture. Make-up: Stephen Mee. Hair: Southern Sirens. 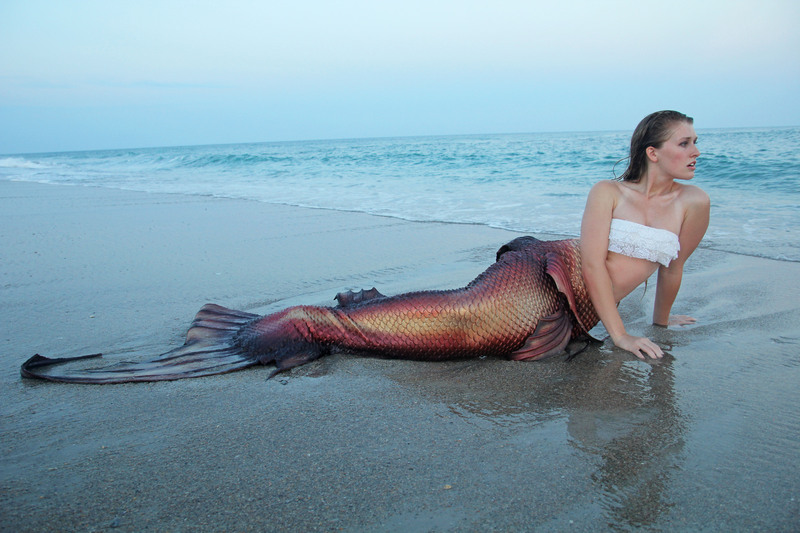 Made out of silicone and latex, the custom-made mermaid tail designed by Eric Ducharme of The Mertailor provided an opportunity to bring an actual mermaid to life on the beach. The Stygian Witch, one of my favorites, is based on the three sister witches who only had one eye to share when seeing into the past, present, and future. Makeup artistry allowed us to completely cover the eyes and create an eerie creature out of Jessica Napier’s beautiful face. Stygian Witch (Jessica Napier). Hair/Makeup: Melissa Shelton. Designers for the series include Erin Fowler and Pam Clanton of Charlotte Couture; Alexis Montclaire of Shattered Stitch Cosplay; and Eric Ducharme of The Mertailor. Makeup artistry was provided by MUA Missy Young, Stephen Mee, and Melissa Shelton. Hairstyling for the series was provided by Melissa Shelton and Southern Sirens. Models include: Trish Adams, Eryn Carpenter, Drew Casteel, Madison Deering, Darian Harveston, Andrew Holztrager, Harry Hughes, Tori Lee, McKenzie McDaniel, Hilary McPherson, Jared McPherson, Taylor Miller, Jessica Napier, Chandler Rasnake, Ryan Reed, Megan Rigsby, Julian Saturno, Madison Scalf, Gabby Schicker, Will Sims, Michelle Staples, John Thomas, Payton Turner, Jake Waters, and Alex Wild. To see more photography from 6:12’s “The Greek Mythology Summer Series,” visit Eric McKinney’s Facebook page, blog, and website. © Eric McKinney, 6:12 Photography.